So, last month I landed cover-of-the-month on all author dot com for Between Brothers. Sadly, I didn’t even come close but I thought to myself, “This was nice, but it will never happen again.” Famous last words, right? Well, it did happen again, the very next month for Her Thin Blue Lifeline and above and beyond any expectations I could have had, I took first place in the first day or two and held it…. all the way up until today. As of writing this, I have a 10 vote gap between me and the lead cover. I would really really love to bring this home. 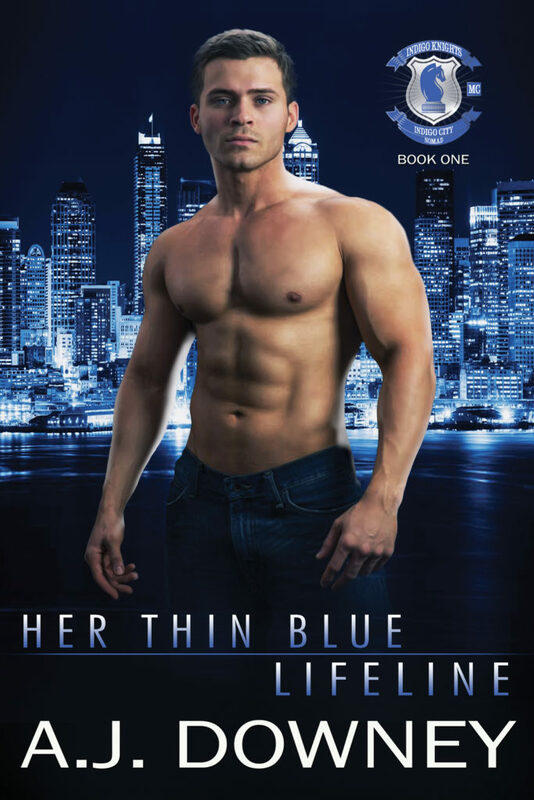 So if you haven’t already, please, go throw in your vote for Her Thin Blue Lifeline and help me get to the top? I can’t tell you how much it would mean to me. I’ve never won anything like this before. Thanks in advance for your time and effort. It’s not just me that made this cover a thing. Golden Czermak (AKA The Furious Fotog) took the shot, Julio Elving is the model and Dar Albert laid out and designed everything to make this cover a reality, so taking top honors would reflect just as positively on them as me. In fact, I would even go as far to say that for this particular contest, they’re the real rock stars. I just wrote the book.